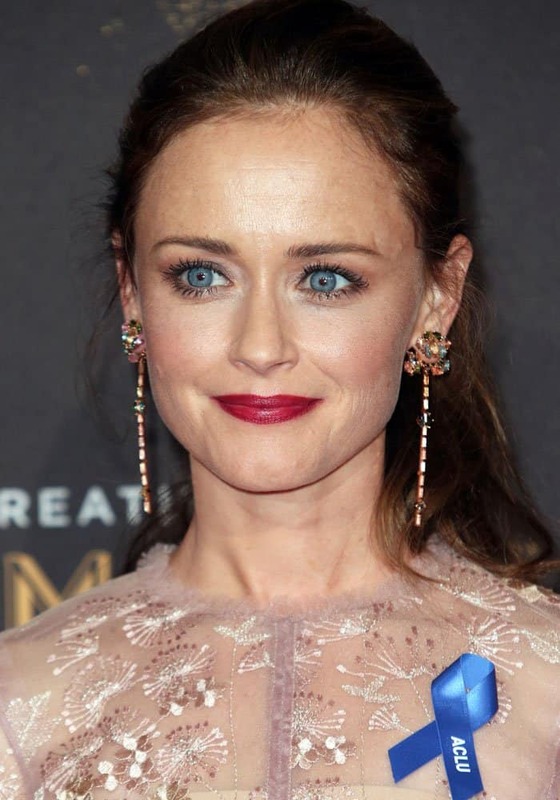 Alexis Bledel may have recently revisited her former “Gilmore Girls” character for last year’s much-hyped revival series, but she’s still venturing out into new projects on the side. Aside from playing “Rory,” the actress has been challenging herself with complicated roles — even bagging an Emmy for one of her performances. Alexis got pretty emotional on the red carpet of the 2017 Creative Arts Emmys after receiving her first trophy. Alexis Bledel at the 2017 Creative Arts Emmy Awards in Los Angeles on September 11, 2017. Alexis stunned in a whimsical J. Mendel embroidered dress. Alexis makes her way to the press room platform with her Emmy in hand. We usually see Alexis clad in jeans and t-shirts, so her red carpet ensemble was a fresh change of pace. Alexis wore a whimsical sheer dress with embroidered floral swirls by J. Mendel. The rose color of the dress complemented her pale skin, brunette tresses and blue eyes perfectly. The 35-year-old finished her look with a woven clutch by Hayward, jewelry from Karin Jamieson and CSARITE by Nak Armstrong, and a pair of Giuseppe Zanotti “Betty” sandals in velvet and metallic. The actress lifted her skirt to reveal a pair of Giuseppe Zanotti “Betty” sandals. Alexis held on to a beautiful woven clutch by Hayward. Alexis admits to being emotional over her first Emmy win. The actress revealed that she was handpicked for her role by the producers of the series, and said she was incredibly grateful. Alexis said it didn’t take her long to sign on to the project, since her character had several challenging layers to work with. 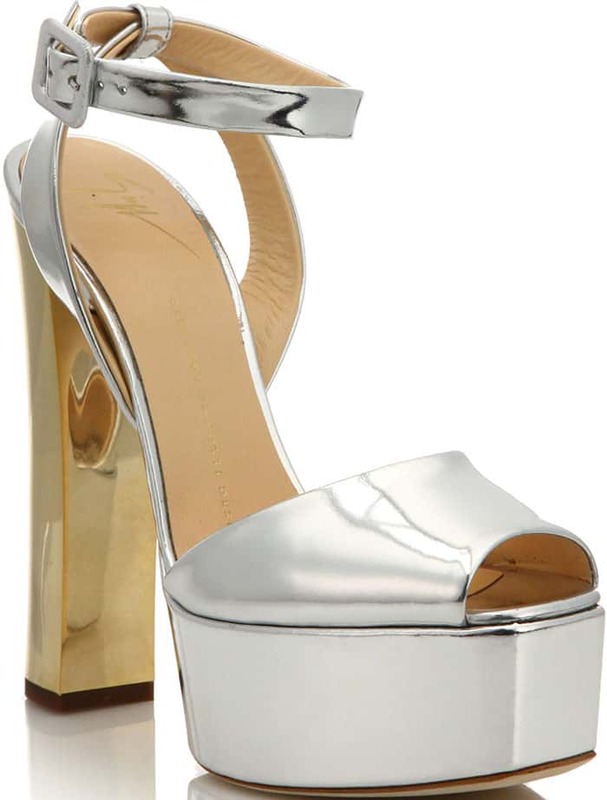 Check out Alexis’ Giuseppe Zanotti sandals in different versions at Saks and Shopbop.